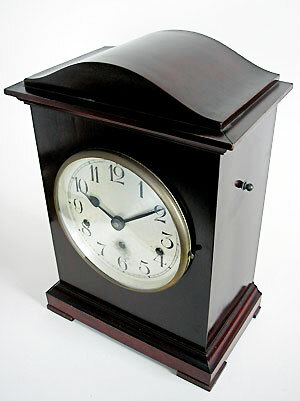 A mahogany-cased, Westminster chiming bracket clock by Jacob Kienzle from Germany. 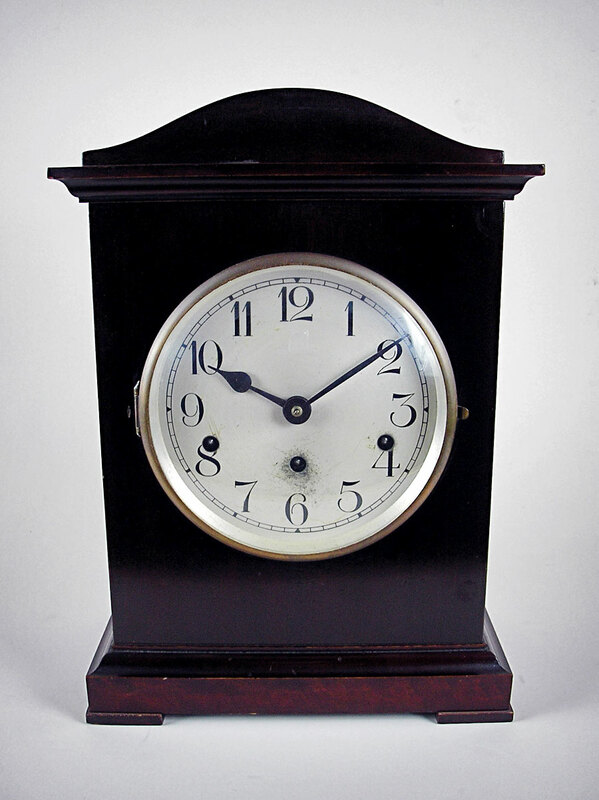 Has a 17.7cm (7") silvered dial, Arabic numbers and spade handles with a domed glass and brass bezel. 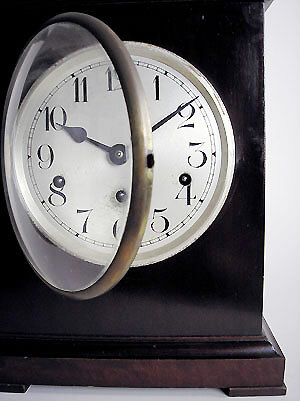 The eight day movement chimes the quarters on gong-rods. Has a chime/silent lever on the right side. The case has block feet and a serpentine top.